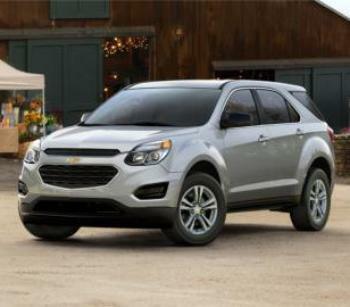 General Motors is recalling 120 Chevrolet Equinox and GMC Terrain vehicles. The rear-right seat may have insufficient welds on the head-restraint bracket. In the event of a crash, the insufficient welds may result in an increased risk of injury for an occupant seated in the rear-right position. GM will notify owners, and dealers will replace the rear-right seatback frame free of charge. The recall was expected to begin on April 15, 2019. Owners may contact Chevrolet customer service at (800) 222-1020 or GMC customer service at (800) 462-8782. GM's number for this recall is N192209550.